…and there’ll be the familiar “i” on the next screen. 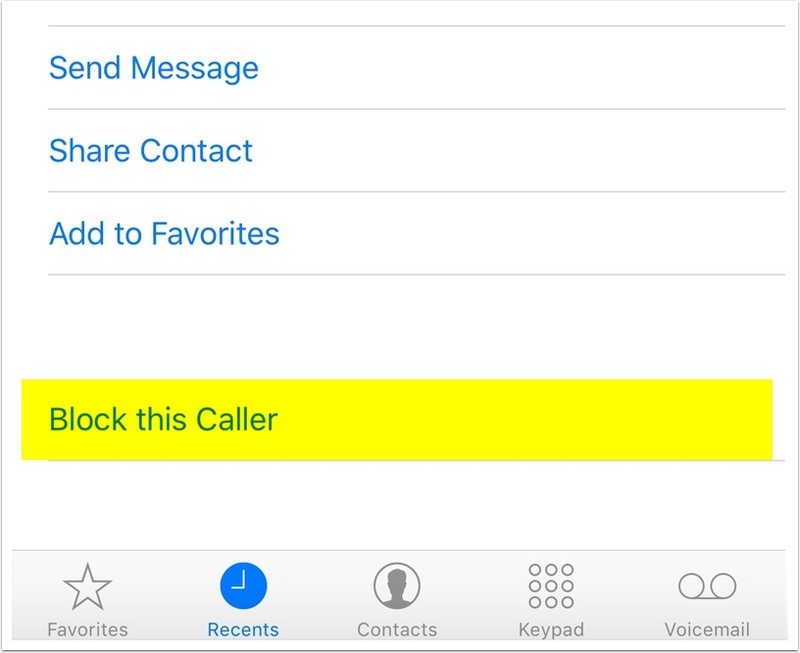 Touch that, and you can pick “Block this Caller” in the same way as we did above. In either case, your device will warn you of what you’re about to do. You can also see everyone you’ve blocked under Settings > Phone, Settings > Messages, or Settings > FaceTime (it’s all the same list). 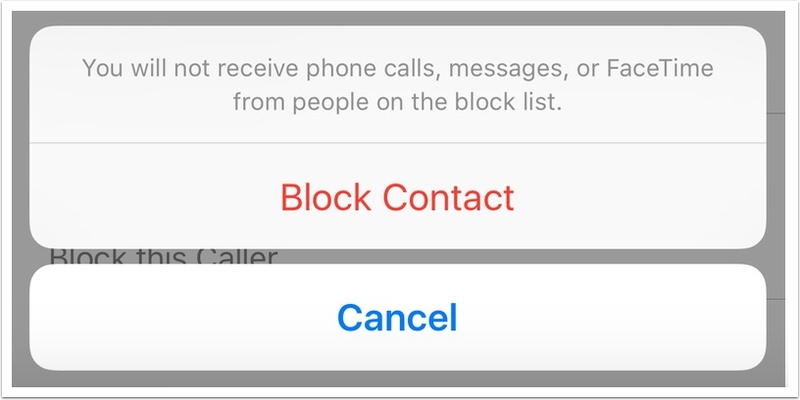 If you tap “Blocked” in any of those places, you could remove a caller from your naughty list or add a new offender manually. 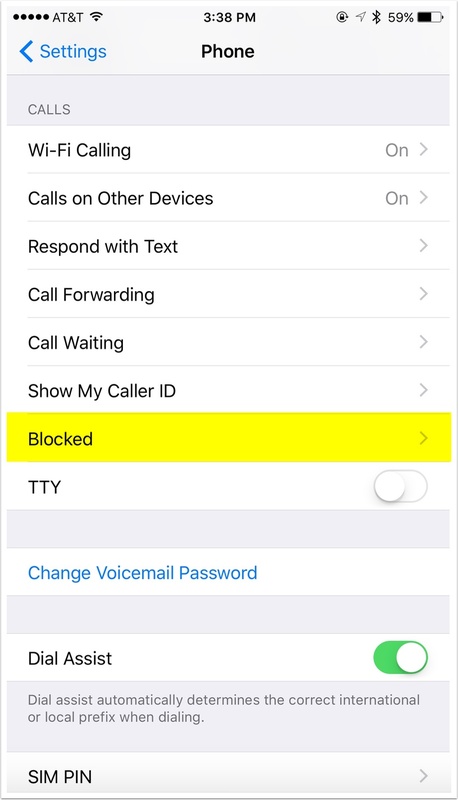 Finally, know that while your phone won’t ring when a blocked number calls, the caller can still leave you a message; however, since you won’t get a notification or anything, you won’t know a voicemail has arrived unless you check. The place to do that is within the Phone app under “Voicemail,” at the very bottom of the list. Be sure to report any business that keeps calling you once 31 days have passed since you’ve added your number to the Do Not Call Registry! It may not do anything, but the sweet justice of a hefty fine would be just swell, wouldn’t it?